Daily sessions of whole-body vibration may combat prediabetes in adolescents, dramatically reducing inflammation, average blood glucose levels and symptoms such as frequent urination, researchers report. 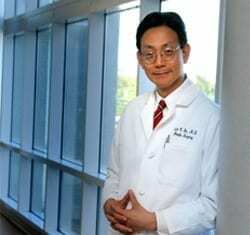 In mice that mimic over-eating adolescents headed toward diabetes, 20 minutes of daily vibration for eight weeks restored a healthy balance of key pro- and anti-inflammatory mediators and was better than prescription drugs at reducing levels of hemoglobin A1c, the most accurate indicator of average blood glucose levels, said Dr. Jack C. Yu, Chief of the Section of Plastic and Reconstructive Surgery at the Medical College of Georgia at Georgia Health Sciences University. Interestingly, vibration did not produce similar changes in older, normal mice, Yu told researchers at the Third World Congress of Plastic Surgeons of Chinese Descent. It’s also one way to deal with the reality that many individuals simply will not exercise regularly, he said. Yu, also a craniofacial surgeon who studies bone formation, said while it’s unclear exactly how vibration produces these desirable results, it seems linked to the impact of movement on bone health. Vibration mimics the motion bones experience during exercise when muscles are doing the work. The slight bending and unbending of bone triggers remodeling so it can stay strong. One result is production of osteocalcin, a protein essential to bone building, which also signals the pancreas to get ready for food. While this prehistoric relationship is tied to the hunt for food, it doesn’t work so well in 21st century living where folks are moving too little and eating too much, Yu said. The constant demand can produce resistance to the insulin required to use glucose as energy. Additionally, the body tends to hold onto fat for energy and survival, which researchers think is key to the chronic inflammation found in obesity-related type 2 diabetes. The fat itself produces inflammatory factors; the immune system also can misidentify fat as an infection, resulting in even more inflammation but, unfortunately, not eliminating the fat. The bottom line is an unbalanced immune response: too many aggressors like the immune system SWAT team member Th17 and too few calming regulating factors like FoxP3. Researchers looked in the mouse blood and found vibration produced a 125-fold increase in immune system homeostasis and similar results in the kidney. This included positive movement in other players as well, such as a five-fold reduction in what Yu calls the “nuclear fuel,” gammaH2AX, an indicator that something is attacking the body’s DNA. The animal model researchers used has a defect in the receptor for leptin, the satiety hormone, so the mice uncharacteristically overeat. Vibration also significantly reduced the mouse’s diabetic symptoms of excessive thirst and diluted urine, resulting from excessive urination. The mice also seemed to like it, Yu said.